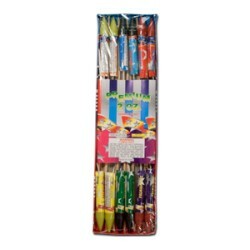 2oz Premium Thunder Rockets 12pk 12 assorted colorful rockets that shoot skyward then burst into ..
8oz Premium Thunder Rockets 12pk 12 assorted colorful rockets that shoot skyward then burst into .. 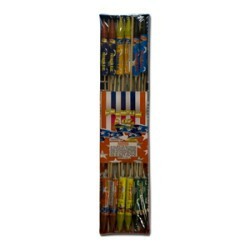 This 10 Ball Classic Candle Lights Up The Sky With Blue Pearls To A Thundering Salute! 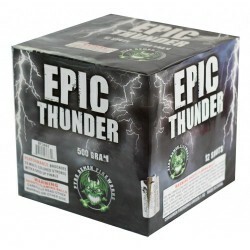 ..
Epic Thunder is the Pinnacle of Heavy Hitters, With Awesome Brocades to Very Vibrant Multi-Colo..
18 Shots of gold strobe and blue mine to brocade crown with gold strobe and blue pistol. ..